Iteris Clear Ag is offering a free webinar to help growers improve profitability during the harvest season. 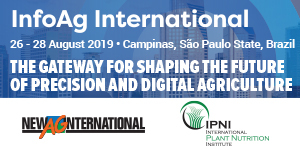 The event will focus on minimizing crop drying costs and show how Clear Ag apps can help manage information like atmospheric data to make decisions. The online event will be held this Friday, September 23, 2016 at 11:30 a.m. ET/8:30 a.m. PT. You can register for the webinar here.